I have to be honest. At first glance, I wasn't sure about if the Balmain x H&M collaboration was for me until I finally saw the entire collection and was completely blown away. I couldn't believe how far the masstige industry has come ever since high fashion designers started collaborating with more affordable retailers. Now, it's safe to say that I am going to be impatiently waiting in line on Nov. 5, hoping to get my hands on several pieces from the Balmain x H&M menswear collection that I've been eyeing ever since the full line debuted at a star-studded fashion show in New York earlier this week. 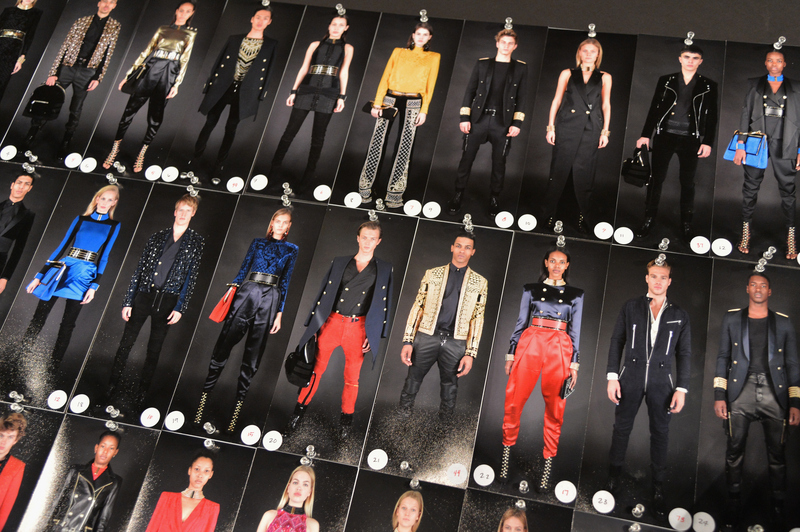 Olivier Rousteing, consider me a member of your #HMBalmaiNation. There's no doubt that the French fashion house isn't holding back with its H&M collaboration. Rousteing's signature can clearly be seen on every luxurious item from the collection, from the hand-beaded dresses and embellished jackets, to the suede, cap-toe boots and golden earbud headphones. But while the outfits worn by fashion's It girls like Kendall Jenner, Jourdan Dunn, and Gigi Hadid have been getting all the attention, there hasn't been as much focus on the men's line. This won't make it easier to score one of the Balmain x H&M blazers, tops, and pants for men on the upcoming release day, but it'll be worth the try. I could easily incorporate these opulent pieces into my casual wardrobe, and make it look as effortless and stylish as these guys... but with slightly less "Blue Steel" and other ridiculously good looks. This striped black-and-white shirt just screams spring. It's modern and classic at the same time. Love. I'm not a huge fan of logos across the chest, but for this, I'll make an exception. The lightness of this tank's material looks super comfortable and can be worn day or night. These come in silver and gold, but either way these shoes are the epitome of Rock 'n' Roll chic. There's a hint of military in these sneakers that falls in line with the #BalmainArmy theme. These golden beauties really are the collection's best accessory, hands down.